Currently Unavailable. Please contact our team for alternative options. Cash or credit card for additional purchases. 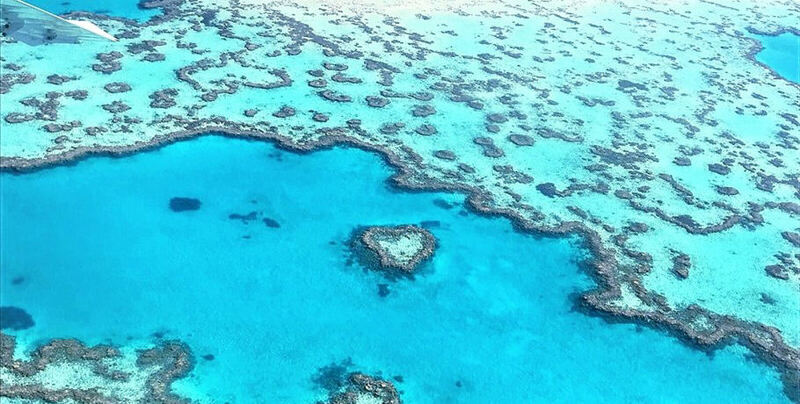 Combine GSL Aviation’s signature Reef and Island Scenic Flight with the smooth and fast cruising of the Whitsunday Bullet for the best day in the Whitsundays! 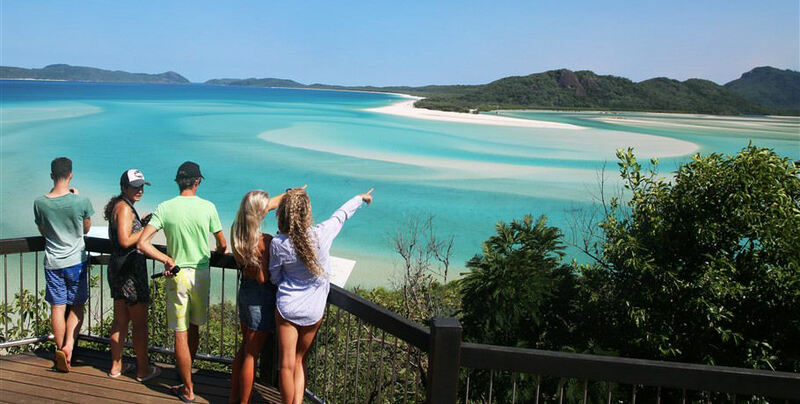 Your day will start with the incredible 60 minute scenic flight over the Whitsunday Islands and Great Barrier Reef Marine Park including picturesque views over Whitehaven Beach and the iconic Heart Reef. 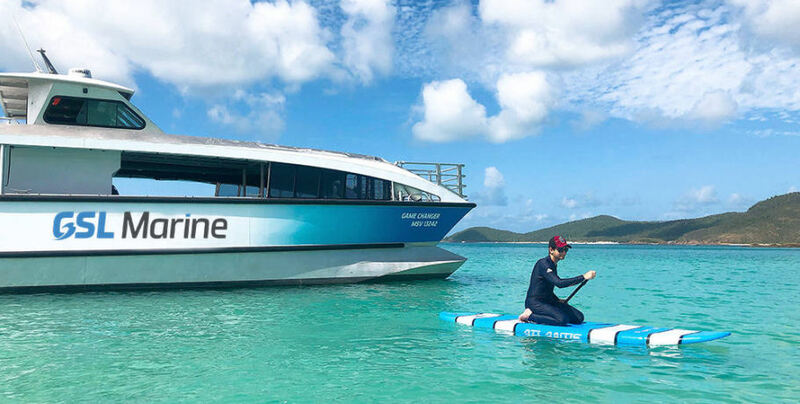 Then you have a whole day on board the Whitsunday Bullet getting a closer look at the National Park that makes up this beautiful area. 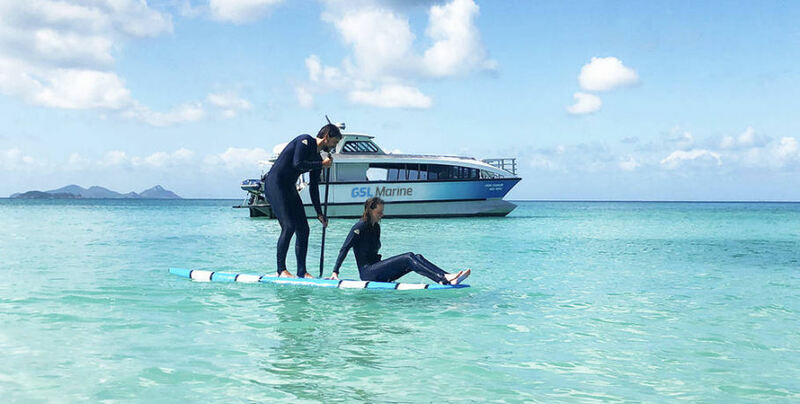 Your action-packed itinerary also includes wetsuit/stinger hire, morning tea, lunch and snacks, and stand up paddle boards. 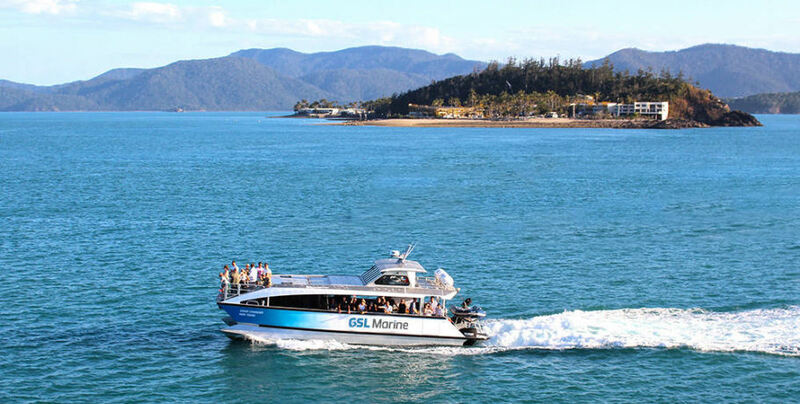 The GSL Courtesy bus will collect you from your Airlie Beach accommodation to take you to the Whitsunday Airport for check-in. The friendly GSL crew will show you a brief safety video before it’s time to hit the runway! 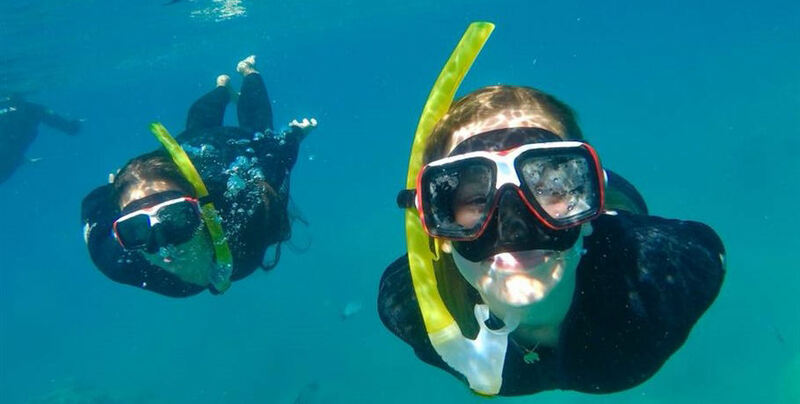 Take off from the Airport and fly direct to the outer Great Barrier Reef! 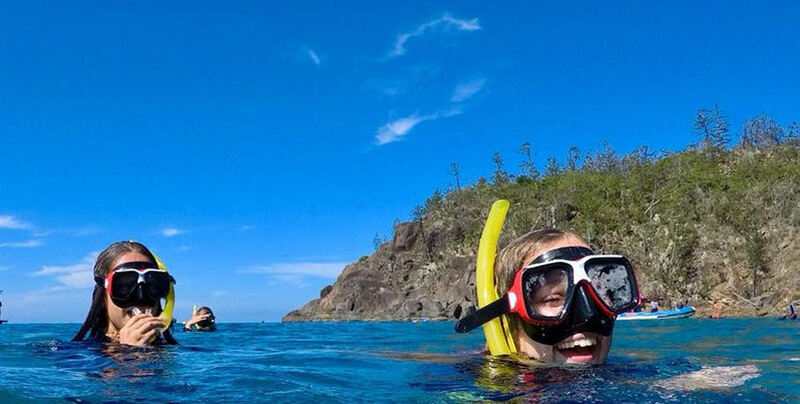 Enjoy scenic views over the most iconic Whitsunday locations and see the world-famous Heart Reef from the best possible angle! 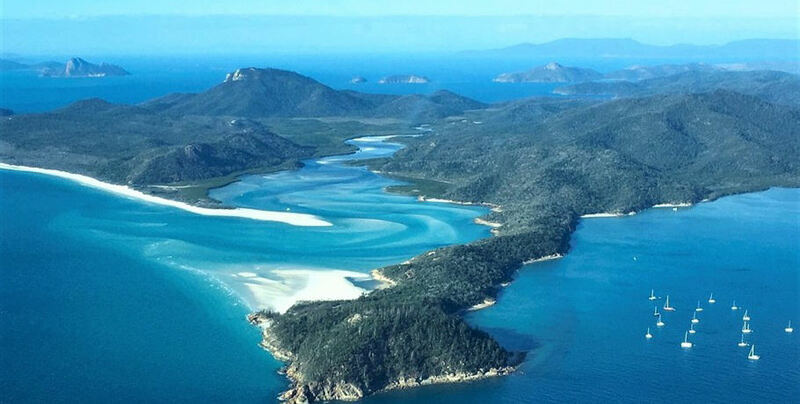 You will also have ample flight time over the stunning Whitehaven Beach and pristine Hill Inlet- DO NOT forget your camera! 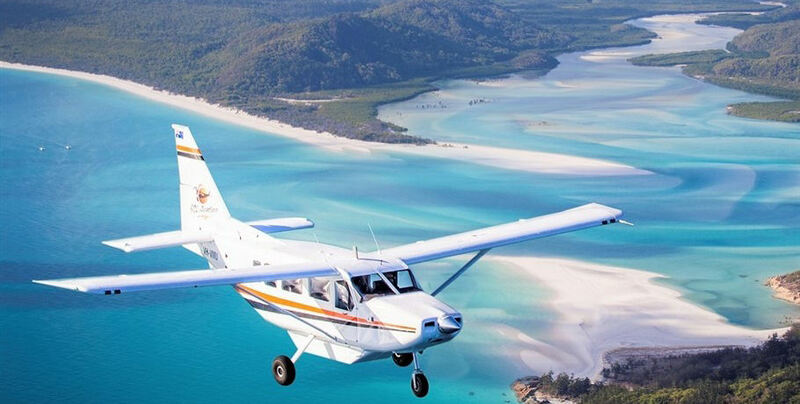 Return to the Whitsunday Airport for your courtesy transfer to Abell Point Marina- Airlie Beach. 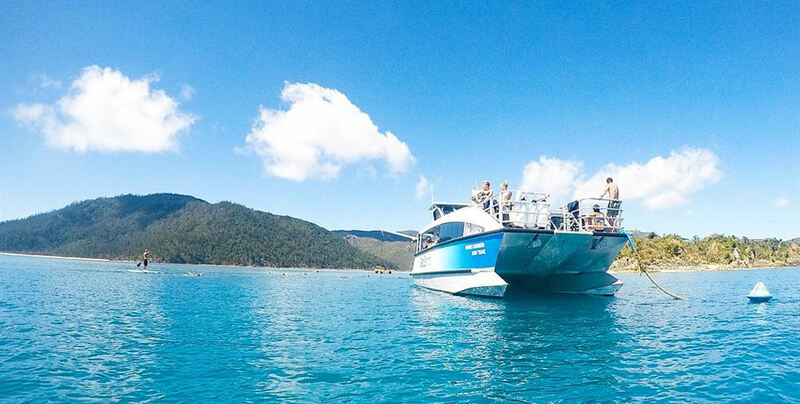 It’s all aboard the Whitsunday Bullet for a breath-taking day on the water! 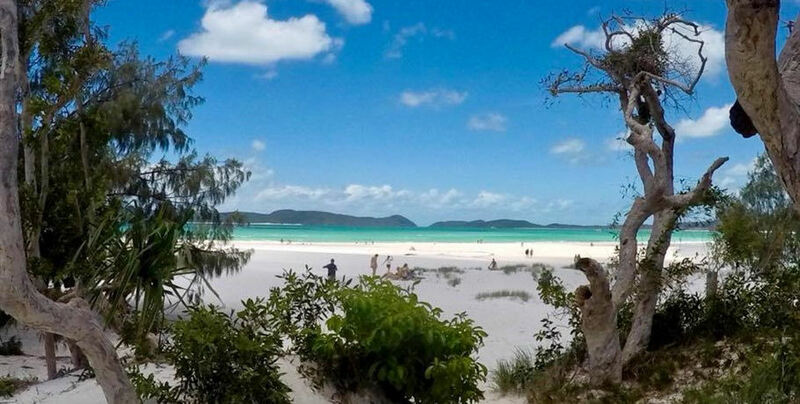 You’ve seen Whitehaven from the sky and now it’s time to get up close and personal with a guided bushwalk and free time on the pristine white sand. After lunch, it’s time to get in the water. 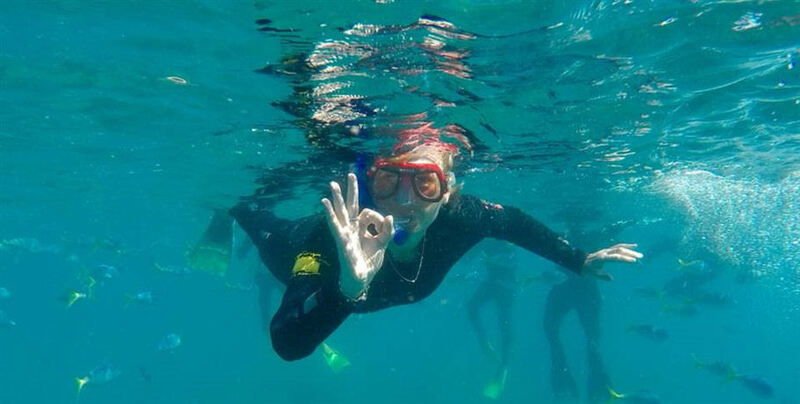 Your crew will take you to the best fringing coral reef locations to see vibrant marine life and stunning corals as you snorkel the Coral Sea. Your crew will transfer you home to your Airlie Beach accommodation via the speeds of the Whitsunday Bullet and your courtesy bus.